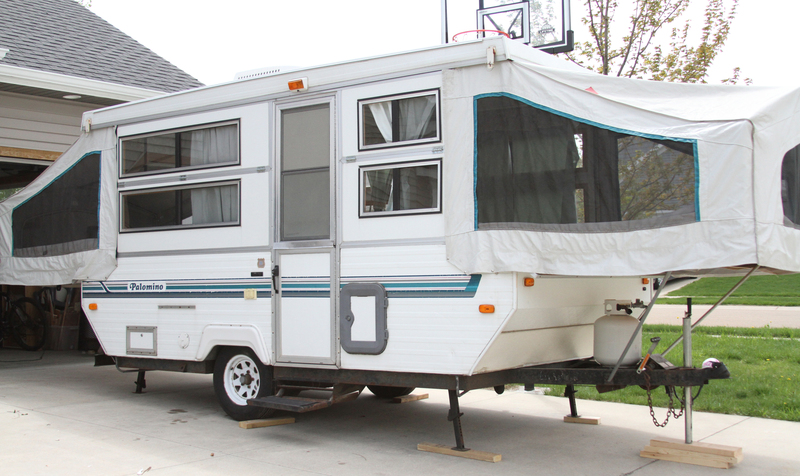 That lovely hard to find Palomino pop up camper that I longed to have, we sold it down the road. 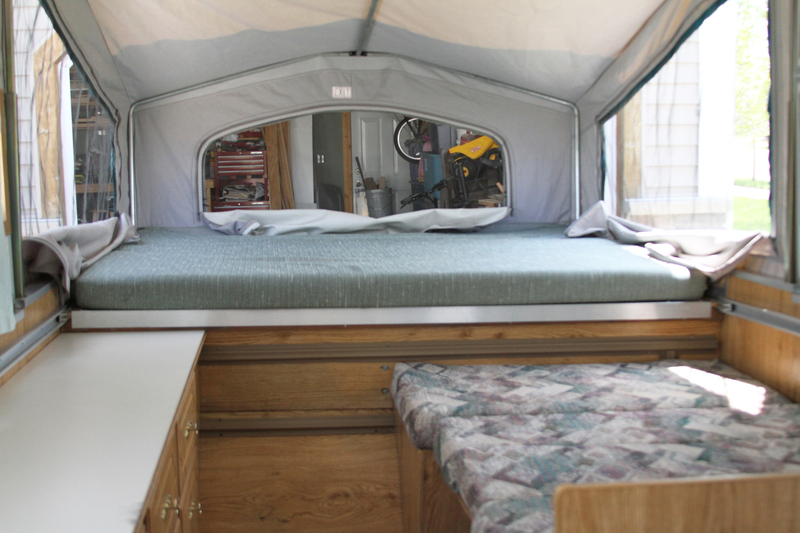 My camper/camping needs have evolved into something beyond my initial firm stance that camping should be done only in a tent, should be rustic, one with the Earth. 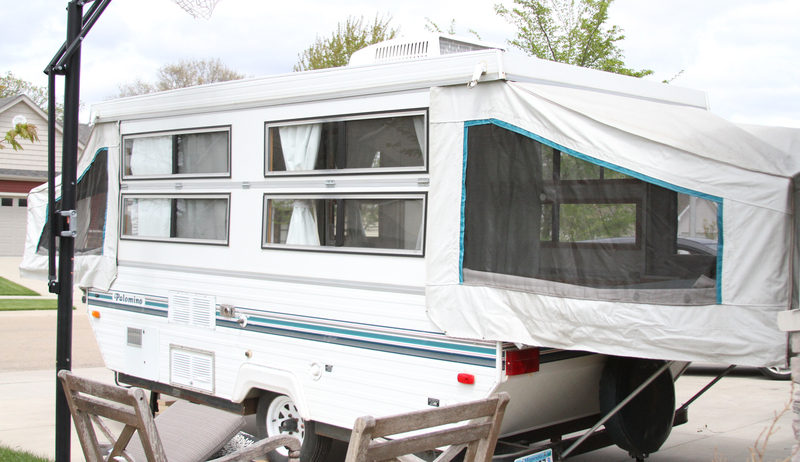 Although I still values these ideals behind our camping adventures, we have upgraded from tent, to pop-up camper, to a new to us “tin can” style camper (more on that later). The initial purpose of trading the tent in for a camper was to get us off the ground and provide a little more safety from “wild” animals. (more on the reasons and original purchase here). We did a little work on our Palomino, the water tank had not been properly winterized and so there was a spot where the tank burst, because these tanks are aluminum it was a little more of a challenge to find someone who could weld it for us. Thankfully my uncle knew someone welded it for free!!! Thank you!!! Second, the water tank storage tank had also not been properly treated so we had to clean that to remove mold and build up, mostly Clorox lots of water and patience. It sold in less than a week after listing it on Craigslist. 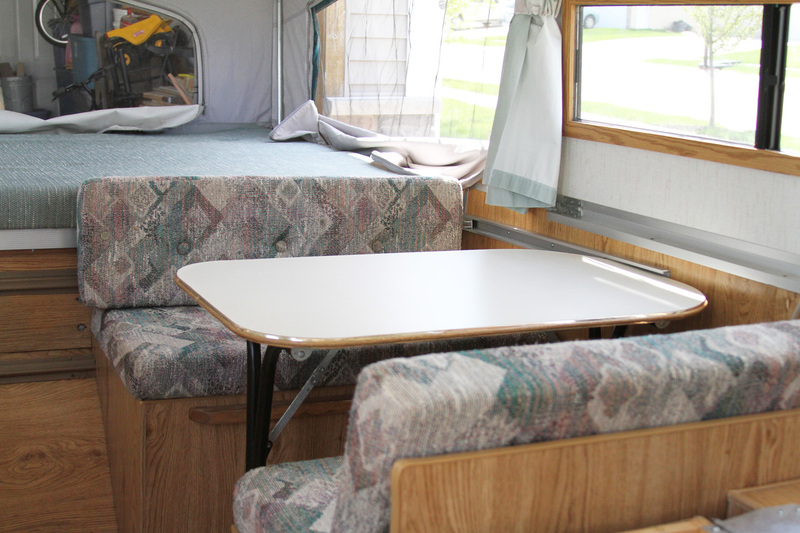 I am so excited about our new camper and will post photos soon, but here are the last photos I took after some of the minor work we did on the 1995 Palomino Hard Side pop up camper that a wonderful family of 7 is now hopefully enjoying!! !